Influence Relocation Services, in partnership with Urban Nest invites you to enjoy a sneak peek into some of Portland’s finest features. We’ve got an insider’s perspective on all Portland has to offer and we love where we live. Portland is an amazing place to work, live and play. The area is frequently recognized for its vibrant music scene, access to natural resources and competitive sports teams. 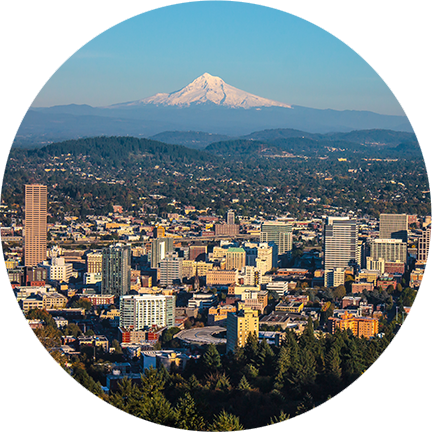 Portland’s robust economy is due, in part, to the high density of technology companies based in the area, earning it the moniker “Silicon Forest.” Residents are proud of the city’s local color, progressive spirit and rugged heritage, which are evident in the landscape, the architecture and the entertainment. Nestled in the shadow of snow-capped Mount Hood, residents can enjoy the many parks and paths in one of the warmest climates in the country, outside of the Sun Belt cities. The city caters to athletes of all kinds, including runners, cyclists, snowboarders and skiers. Local foodies are proud to live in the city recognized as the best in the world for food carts. Portland has also earned the honor of being one of the 5 best beer destinations in the world, with over 70 active breweries within the metro area. 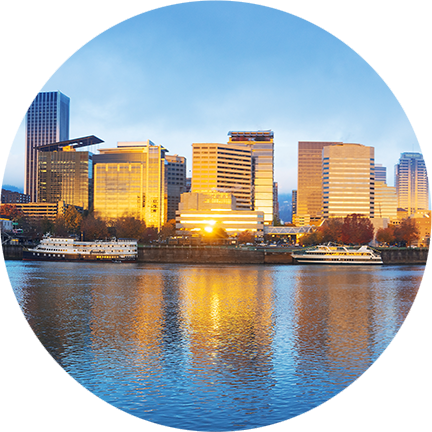 You can learn more about everything Portland has to offer in our exclusive Influence Relocation Services Insider’s Guide. Our settling-in services concierge can also help you get access to community information, entertainment options and local resources. Whether you’re moving across town or across the country, our exceptional real estate agents are here to help.